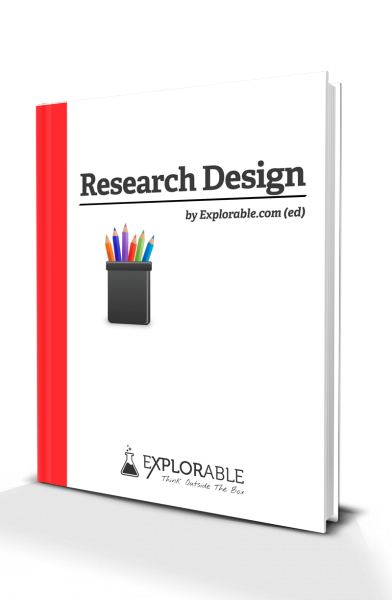 Descriptive research design is a scientific method which involves observing and describing the behavior of a subject without influencing it in any way. Many scientific disciplines, especially social science and psychology, use this method to obtain a general overview of the subject. Some subjects cannot be observed in any other way; for example, a social case study of an individual subject is a descriptive research design and allows observation without affecting normal behavior. It is also useful where it is not possible to test and measure the large number of samples needed for more quantitative types of experimentation. These types of experiments are often used by anthropologists, psychologists and social scientists to observe natural behaviors without affecting them in any way. It is also used by market researchers to judge the habits of customers, or by companies wishing to judge the morale of staff. The results from a descriptive research can in no way be used as a definitive answer or to disprove a hypothesis but, if the limitations are understood, they can still be a useful tool in many areas of scientific research. The subject is being observed in a completely natural and unchanged natural environment. A good example of this would be an anthropologist who wanted to study a tribe without affecting their normal behavior in any way. True experiments, whilst giving analyzable data, often adversely influence the normal behavior of the subject. Descriptive research is often used as a pre-cursor to quantitative research designs, the general overview giving some valuable pointers as to what variables are worth testing quantitatively. Quantitative experiments are often expensive and time-consuming so it is often good sense to get an idea of what hypotheses are worth testing. Because there are no variables manipulated, there is no way to statistically analyze the results. Many scientists regard this type of study as very unreliable and ‘unscientific’. In addition, the results of observational studies are not repeatable, and so there can be no replication of the experiment and reviewing of the results. Whilst the results are always open to question and to different interpretations, there is no doubt that they are preferable to performing no research at all.